This chapter poses an innovative framework that can be utilized as a model for study abroad experiences, particularly those situated in developing countries. The model enhances a service learning structure by grounding both classroom study and related field work in the theoretical foundations of critical pedagogy, transformational learning theory, ecological systems theory and critical theory in a manner that sets the stage for success for study abroad students and in-country community members alike. 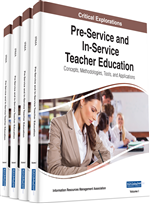 The chapter concludes with a recommended plan for implementation of the framework as well as suggestions for optimizing sustainable outcomes for teachers as they begin work in classrooms of their own. Imagine a classroom with a chalkboard, one book for every 3 to 7 students, no electricity, no desks and 100 happy, non-English speaking children sitting on the floor ready to learn. Where would you begin? What would you teach? How would you teach it? Welcome to the Malawi Study Abroad program! Malawi is a small, developing country in sub-Saharan Africa. Often referred to as the “Warm Heart of Africa,” Malawi is about the size of Pennsylvania and one of the poorest, least developed and most densely populated countries in Africa. Despite daily struggles with health, nutrition, and employment, Malawians are warm-hearted, welcoming people full of joy and generosity. Good, quality education is often viewed as an avenue to reduce extreme poverty and hunger, particularly in less developed countries such as Malawi. Free primary education was established there in 1994. Inquiry about issues surrounding developing countries such as education, poverty, employment, and health (Barber, Jones & Kelly, 2010). The program showcases a noteworthy historical context, grounding it in service learning. Service learning study abroad often serves as a catalyst to opening opportunities in unexpected ways; hence, we propose a conceptual model as a guiding framework to assist universities and schools involved in a study abroad partnership to plan and implement the most meaningful and growth enhancing experiences possible without dis-empowering the community in the process. While opportunities are endless, service learning study abroad always poses challenges, both for the study abroad institution, as well as the schools and communities with which the study abroad collaborates. We candidly discuss challenges faced in the Malawi Study Abroad program and offer a model for addressing the challenges in productive, meaningful ways to foster “communicative action” (Kihlstrom & Israel, 2002). The chapter concludes with practical advice for creating service learning oriented study abroad experiences in developing countries in ways that can directly influence how future teachers will work with their own parents and school communities at home.